Metabolism Assays Research Products | BioVision, Inc.
Metabolism is a vital process for all life forms. It is broadly defined as the sum of all the biochemical processes involved in maintaining the living state of the cells, and thus the organism. More than 87,000 reactions & 16,000 metabolites are annotated in the Kyoto Encyclopedia of genes & genome. Transformation of the macronutrients such as carbohydrates, proteins, and fats in food to energy is an integral part of the metabolic processes. Metabolic processes can be divided into two main categories: anabolic processes, which consume energy to synthesize simple molecules or polymerize them into more complex macromolecules e.g. DNA, RNA and proteins and catabolic processes that degrade molecules to release energy. Besides this, metabolic processes also help to get rid of toxic substances. Metabolism plays a key role in disparate areas of physiology, cell biology, and medicine. Research in metabolism is dramatically increased by the realization that many common human diseases such as cancer, diabetes, obesity, hypoglycemia, hypolipidemia, phenylketonuria, neurodegeneration etc. are due to perturbations in metabolic pathways. Understanding the metabolic variations and possible outliers is thus a crucial aspect of disease-oriented research. 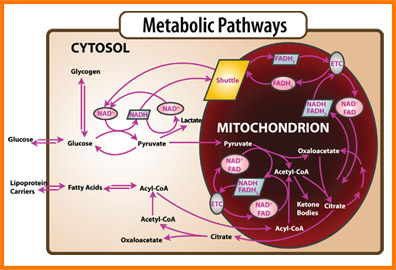 BioVision is proud to offer the broadest metabolism product portfolio ranging from carbohydrates, lipids, amino acids & proteins, inorganic ions, serum components, coenzymes & cofactors to oxidative stress, glycolysis pathway, and intermediary metabolism. 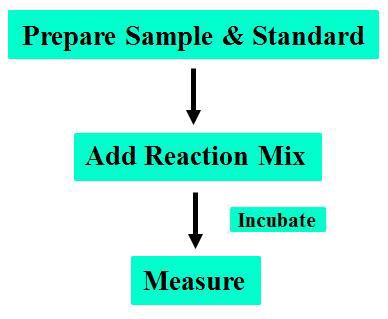 In addition, BioVision offers a variety of PicoProbe™ Assay Kits for the researchers who are interested in detecting the submicromolar concentration of metabolites. PicoProbe™ is trademark of BioVision. These PicoProbe™ assay kits are the most sensitive kits on the market & can detect up to 20 pmol or even lower of metabolite depending upon the assay type.